Here’s a stylish new companion for your ceramic collection. 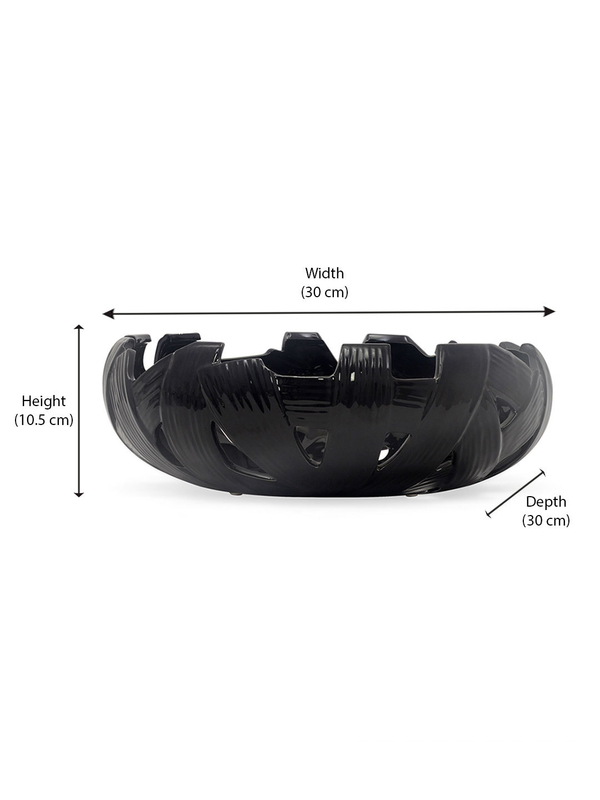 The black cutwork stone bowl dons a stylish design. Several stripes of black come together to form the shape of the bowl. Gaps and spaces creating cutouts punctuate the bowl. Wondering how to use it? Let it take the center spot on the center table. It looks amazing as a showpiece by itself. Or put it to use on the console. Drop in keys, phones and little trinkets that you need to use on an everyday basis. It makes for a wonderful accessory for the home.